There is no easy way to summarize the role of a property manager in a way that really captures the wide range of responsibilities they have. In essence, it’s all about communication. Interactions with property owners, tenants, and employees all need to be coordinated with efficiency and professionalism in order to keep all parties satisfied, establish a loyal customer base and enable future growth in a tough market. Basically, managing properties isn’t just about real estate — it’s just as much about relationships. You have to track conversations and deal statuses across multiple landlords, tenants, and applicants in addition to managing the properties themselves. It’s high-touch, high-urgency, and high-stress work. The extent of human interaction that is integral to property management creates a large margin for human error. Poor lead management, documentation of calls/emails, inspection coordination, tenant screening, and maintenance work orders are just a few examples of tasks/processes that are difficult to execute consistently without the assistance of workflow software running in the background. 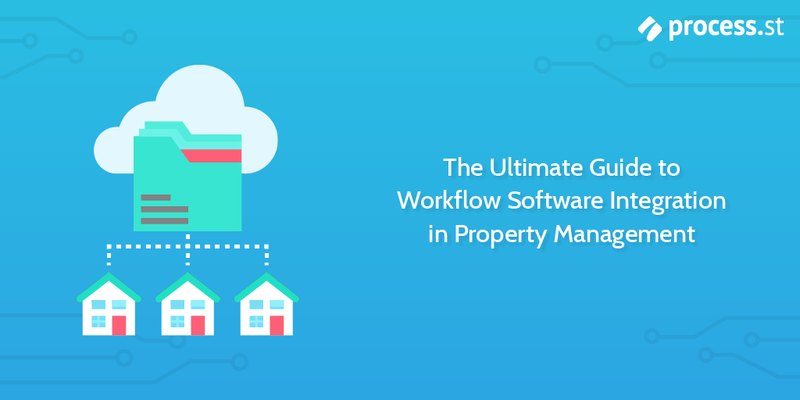 As a result, property management firms are beginning to place a greater focus on improving business efficiency by formally documenting their processes and integrating workflow software, because it enables them to deliver their clients a superior service, while also providing employees with the tools they need to perform at their best. Firstly, I should clarify that these are not checklists created by Appfolio, as the title may suggest. 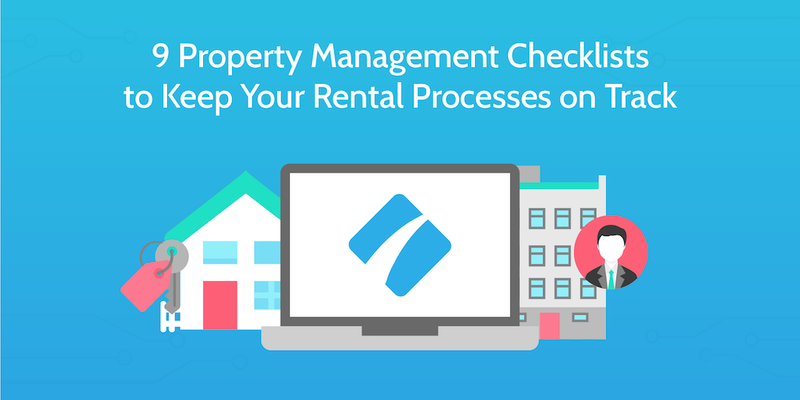 They are, rather, checklists created by the team here at Process Street (with some help from customers) that are designed to be used by property management firms who use Appfolio. Appfolio is one of the most popular property management software tools currently on offer, enabling more efficient management of all kinds of properties including apartments, residences, and commercial real estate. It is an all-in-one solution that includes features such as online owner and renter portals, online applications and leases, online payments, built-in screening, maintenance requests, mobile inspections, bulk text messaging, accounting, reporting, and a mobile app. The software’s rich feature set, intuitive UI, and automation capabilities have received excellent feedback from its users, making it a popular choice amongst property management firms of all sizes, particularly those that are growing at a fast rate and are looking for a tool that will enable them to scale while minimizing growing pains. To help you get the most out of Process Street while using Appfolio to manage your property management workflows, we’ve created a set of 5 templates to bring the two applications closer together. 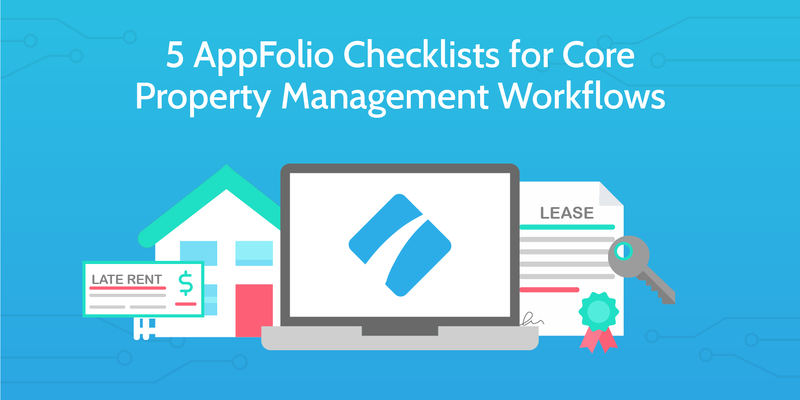 We chose to create the following checklists because they are core workflows in the field of property management, and are common uses cases amongst a number of our customers that use Appfolio on a daily basis. If you want to dive in and go straight to the checklists, there are quick links right below. Otherwise, scroll down for a brief intro to each one. Alarca Realty is a property management firm based in Charlotte, North Carolina, specializing in the full-service management of family homes, condominiums, townhouses, duplexes, and small multi-family developments. 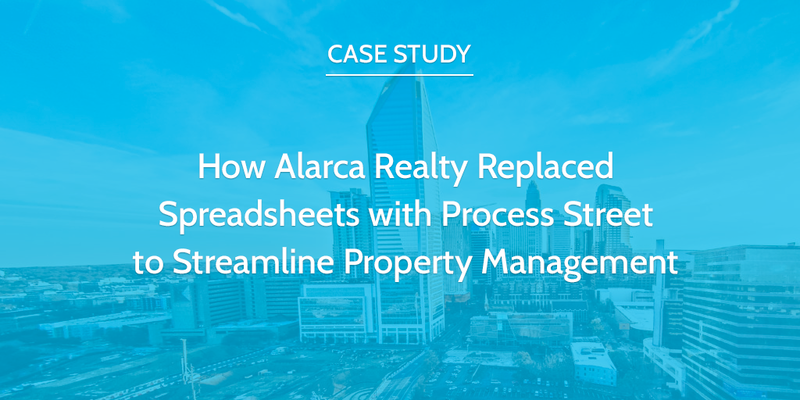 We spoke with owner and CEO Bob Abbott to discuss how Alarca uses Process Street to improve the management and execution of property management workflows that keep their growing business running smoothly. Founded in 2005, Alarca began with the mission of delivering world-class property management services in Charlotte and other locations in southwestern North Carolina. Their focus on customer service and providing the highest return for clients has resulted in them achieving industry-leading client retention levels. For many years, the company used a large library of spreadsheets to manage internal processes and track communication with clients. As the company grew, so did their spreadsheets, and it soon became incredibly difficult and time-consuming to execute tasks as efficiently as they would like. Bob identified this bottleneck, and after a period of significant research and testing, decided to go with Process Street to improve the way his team complete their day-to-day tasks and for him, as the manager, to gain greater insight into the progress of workflows. The real estate market is known to require a significant level of human interaction, but to what extent is the human touch really necessary for delivering a high-quality service for each and every customer? The human-intensive nature of real estate creates a large margin for human error. Poor lead management, documentation, appointment coordination, tenant screening, and maintenance supervision are just a few examples of tasks/processes that are difficult to execute consistently without the assistance of automation software working in the background. “Real estate is a market that is ripe for technological disruption. 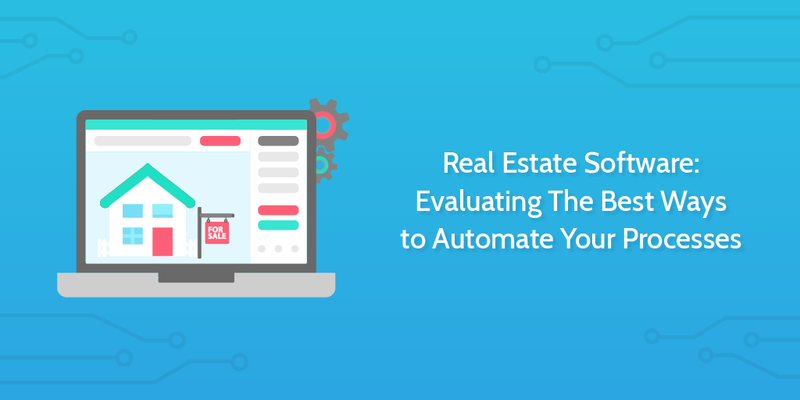 Whatever can be automated should be automated!” – Jyotirmay Samanta, How to Automate Your Real Estate Business? Some of you property managers out there may claim that diving headfirst into the automation craze sweeping the business world is not such a good idea, as it undermines the face-to-face interactions that play such an important role in the field. This is not entirely wrong, but all things considered, deciding to ignore new ways of streamlining processes will leave you in the dust as your competitors continue to find new ways of being more efficient. Recently, it was reported that total investment in real estate tech has ballooned from $33 million in 2010 to more than $5 billion in 2017. That is nothing short of astounding, especially when you consider the market’s volatility over the past decade. Technology is driving the evolution of real estate, and market players need to keep up if they want any hope of leading the charge. Managing properties isn’t just about real estate — it’s just as much about relationships. Especially if you don’t have the first clue about processes. If you take a peek at the numbers, you’ll see the BPM in real estate market is expected to grow at a rate of 24.8% between 2016 and 2021. Property management firms are beginning to place a greater focus on improving business efficiency because that enables them to deliver their clients a superior service. To turn your disorganized business around, creating a modern, automated system for documenting processes is an absolute must. Market research analysis conducted by Research N Reports drives this message home by claiming that the increasing need for accurate process documentation is a key driver of property management software adoption.